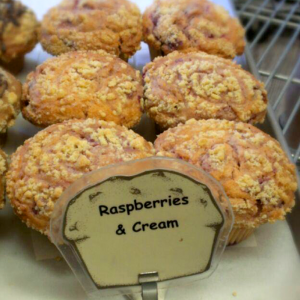 Cream and raspberries mixed into a muffin. There’s nothing more simple and nothing more delicious. This delicate confection derives its flavor from a subtle aggregate of natural ingredients like raspberries and cream. The cream is made from the milk of the Oxen of the Sun!